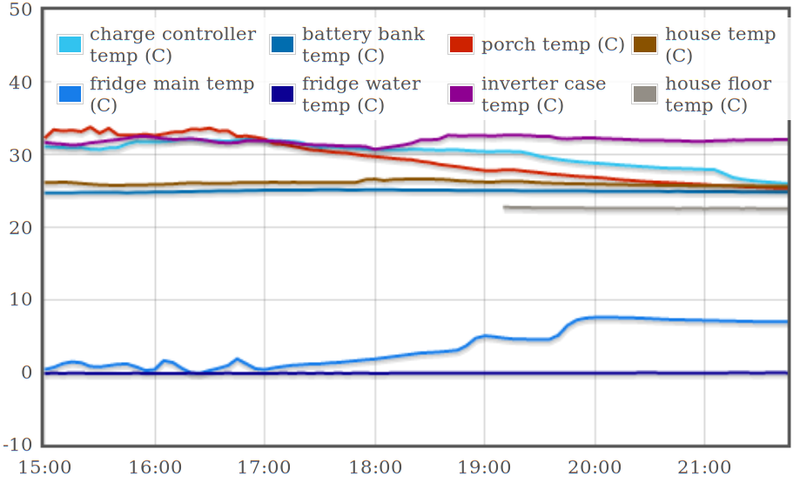 @joeyh Temp grdients, particularly floor vs ceiling, and external wall / ceiling surface temps can be quite revealing. @joeyh Can you recommend a sensor that's not awful but also not super expensive? @christianbundy onewire are great, I use DS18B20 which can be found for under $1. Can be hooked up to GPIO, and you can put a whole bunch of them on a single long cable, very flexible. @joeyh one can never have too much sensing data.